Private woodlot owners elsewhere want Nova Scotia’s deal with the U.S.
Nova Scotia, along with PEI and Newfoundland, has managed to maintain its exemption from U.S. softwood duties (still to be confirmed, however) on the basis that most of the wood comes from private land. Producers in Central and Western Canada obtain the bulk of their wood from Crown Land which is considered an unfair subsidy. Stats in the last two columns at right were calculated from the other stats; a ? in the right-most column indicates same calculation, nonsensical result. 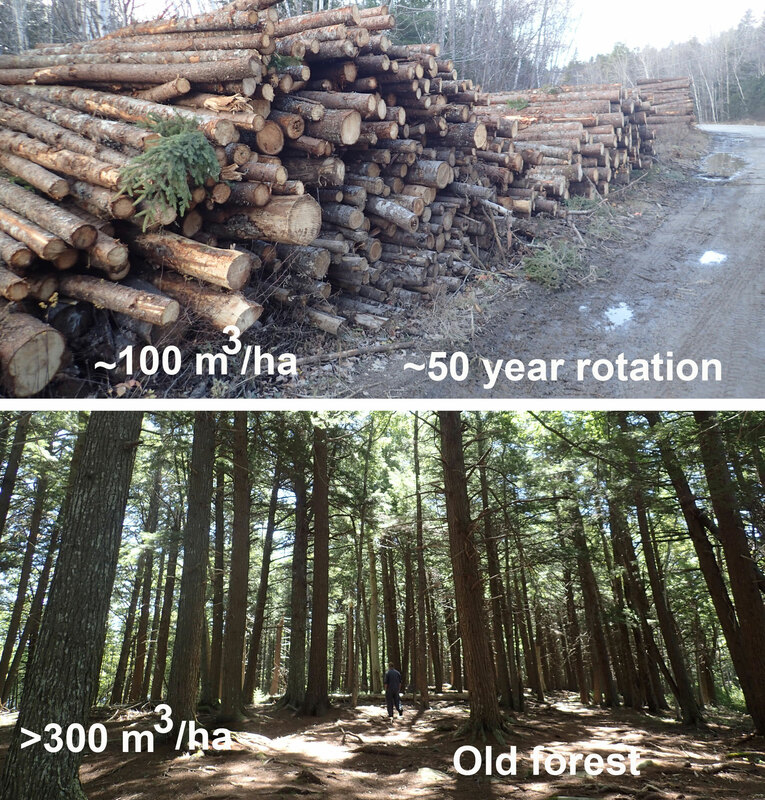 There are some differences or contradictions in the numbers for the percentage Crown contribution according to whether the calculation is based on area or volume, but one can readily appreciate the much greater significance of Crown land production from Quebec westward compared to the Atlantic provinces. This entry was posted in clearcuts, Economics, Private Woodlots, Tree Harvests. Bookmark the permalink.